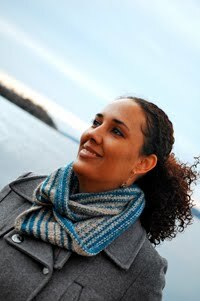 Cambria Washington: knitwear & patterns: It's getting out of hand! pictured in order from L to R, are my homemade pesto, salsa, and meat sauce, all made with herbs from my garden (and my MIL's garden too). The meat sauce has ground turkey instead of ground beef. 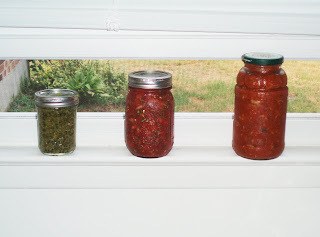 The salsa is from the tomatoes that we got on our road trip to Tiverton, and you can see how unusual their color was. I'd never seen tomatoes that red before, and the finished salsa looked more like a strawberry-red than a tomato-red. Very pretty and very tasty! And for the pesto, I kicked up the garlic a little bit and used some purple basil that my MIL brought me from her garden, along with my German basil from my own garden. That made the difference, and made up for the lack of pine nuts (which add something important to the flavor of the pesto). When last we spoke (lol) I mentioned that I had two fantastic ideas for socks for this year's Scarefest. That's now longer accurate. I now have three. Three! 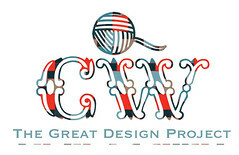 How am I ever going to find time to knit, and format the pattern for three different sock designs in time for the kick-off? We'll just have to see how it goes. And while I can't tell you what movies I'm using, or what the patterns will look like, I did give you a preview of the yarns I'll be using for one of them. But since you've twisted my arm (wink, wink), I'll give you one more clue: this latest one is based on a sequel of a popular classic horror film. I love classic black & white horror movies (because they're totally kid appropriate) and 1950's B-movies. It's a weakness, and a great source of scary sock inspiration. It's a meat grinder. My mom had one when I was little. If you're looking for a home for it, let me know. :) And I love your sauces and stuff. I'm going to try my hand at red pepper jelly this week. I'm also doing blueberry/raspberry jam with Jen's blueberries. Yum! I'm so jealous of your meat grinder! If I had known there was one downstairs at CF I would have snatched it up. You won! You sure do have a meat grinder and a wonderful one at that. I only wish I had one. My mom always ground our left over beef roast in one to make beef salad sandwiches. Yummmm!! 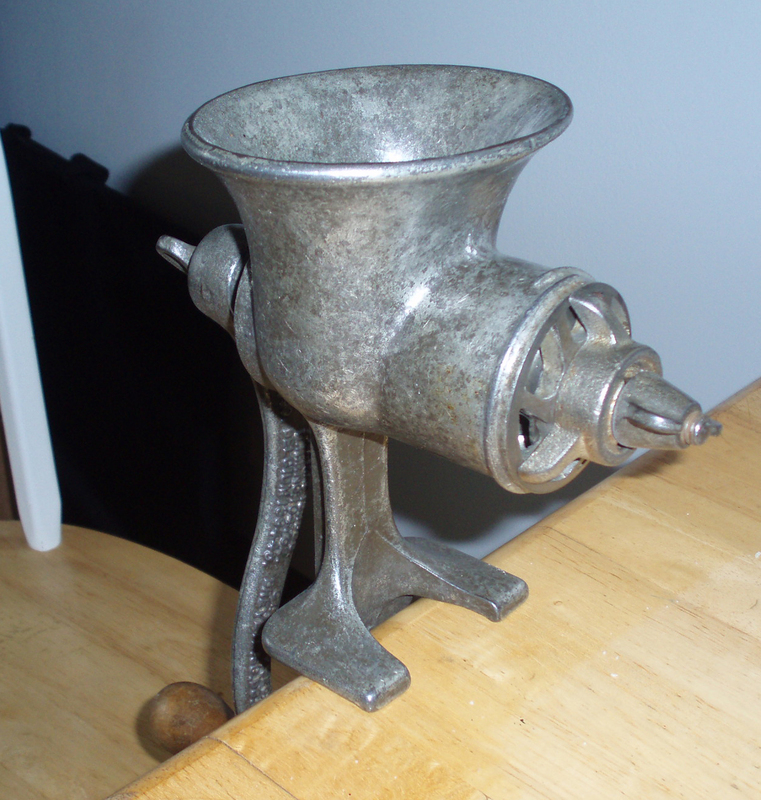 Meat grinder! My mother would add bits of potato and onion and dried bread to our meat loaf meat with this. She'd add pork and bits of cooked chicken...it was always so good! What's brown, green, tan, and pink?